Select companies of interest for free brochures, then click next at the bottom of the page. Offering outstanding, all-inclusive small group adventure vacations in Peru, Patagonia, Ecuador and Galapagos Islands. Swim with whale sharks, Gaze at the Northern Lights, Journey to the Amazon. Small groups, comfortable, & unforgettable. Great Canadian Trails offers a vast selection of innovative small group guided and supported self-guided, hiking and cycling adventures across Canada. Play in the Center of it All - Greensboro, NC. Immerse yourself in Greensboro's family oriented attractions & explore over 200 years of rich history! Inspiration in any direction. Discover meaning in Helena’s history, culture and recreation. Learn, shop, dine, play and stay in Helena, Montana. Experience freedom from the familiar. 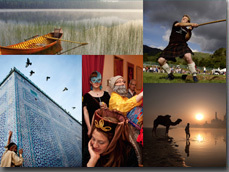 MIR specializes in travel to Siberia, the Silk Route, St. Petersburg & beyond since 1986. Offering first-class lodge-to-lodge adventures to Machu Picchu, with the choice of trekking the Salkantay Trail or the multi-activity Lares Adventure. Situated on 20,000 pristine acres, the South Carolina Lowcountry's hidden wonder is open for adventure. Wilderness Travel is a company of and for travelers. How we travel is as important as the places we go. Asia Travel Specialist. Small Group, Great Guides, Nice Hotels, Good Meals, Once-in-a-lifetime Experience for Discerning Travelers. Dare to Compare! Learn photography from our experts---No matter what your skill level, our seminars will show you a whole new perspective on what you can do with photography. Click one the categories of interest above, and request free information from many of our sponsors. Or click below to view all companies.